In a project ongoing since Jan. 2015, William Jewell College faculty and students have been collaborating to provide an aquaponics and STEM education program at the Primitivo Garcia Elementary school in Kansas City. Jewell students have been volunteering at Primitivo Garcia since 2014 and travel to the school weekly to read to the students. Incorporating a STEM component into this collaboration began in Jan. 2015. This collaboration has resulted in the construction of an aquaponics lab at Primitivo Garcia, the development of lesson plans for the 4th and 5th grade students and a comprehensive strategic plan for the school. 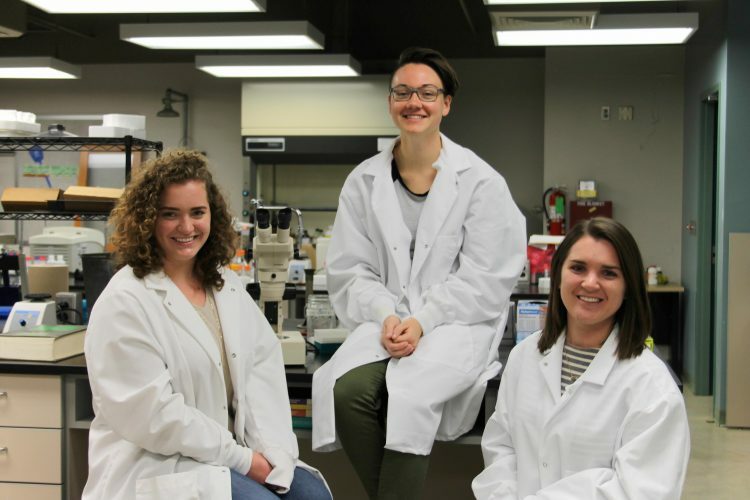 The outreach initiative has been coordinated by Dr. Lori Wetmore, director of the Village Partners Project and chemistry professor at Jewell, who explained that one of the project’s strengths has been bringing together different departments at the College. To date, students and faculty from the biology, business administration, education and physics departments have been involved in developing the project’s framework. Students from the Meeting Facilitation and Strategic Planning class offered in the spring of 2016, as well as the Financial Development for Nonprofit Organizations and Marketing Principles classes, both offered in fall of 2017, were involved in the strategic planning stages and members of the Association of Chemistry Students, SUSTAIN and Tribeta have come together to teach the children. Emily Dema, President of Tribeta and senior Oxbridge: Molecular Biology and Applied Critical Thought and Inquiry (ACT-In) major, has been involved in this project from the beginning and is excited to see people’s hard work pay off this year. Catherine Dema, Emily Dema and Sam Fulte are all involved in starting these new programs at Primitivo Garcia. Around April of 2017, Lydia Sturges, senior elementary education and ACT-In major, was brought onto the project team to work with the teachers at Primitivo Garcia and create lesson plans teaching students to use the aquaponics system. Sturges explained that she was very interested in writing the lesson plans and training the teachers to implement them but hasn’t been involved with the project much since. Sturges hopes that these lessons will inspire the students at Primitivo Garcia to pursue science later in life. Primitivo Garcia is a diverse public school and Wetmore hopes that empowering students at this school will facilitate greater diversity within the field of science in Kansas City. “The more that we can get students of color interested in science – especially young girls because there is even less representation in that demographic – the greater the chances are that you’re going to get more representation in the sciences,” said Wetmore. Catherine Dema, sophomore Oxbridge: History of Ideas and physics major, is the SUSTAIN representative involved in this project and believes that this outreach will broaden the students’ perspectives about a variety of topics. “STEM education goes hand-in-hand with sustainability education, especially about something like the aquaponics system. It’s really important for kids to learn not just about science, but also about how our (people’s) interactions with the planet affect us, plants and animals,” said Catherine Dema. The first of these sessions was held on Sept. 18 and Sam Fulte, senior biochemistry major and Vice President of Tribeta, said that the Primitivo Garcia students were excited about the opportunity. The construction of the aquaponics lab was funded by a $4,000 Kauffman Innovation Grant, a $1,000 Missouri Campus Compact Institution Mini-Grant and Jewell’s Village Partners Project. Jewell volunteers will be returning to Primitivo Garcia on Oct. 9 and any students interested in being involved in the project – now or in the future – should contact Wetmore. Photos courtesy of Sofia Arthurs-Schoppe.